With the imminent launch of GST round the corner, India’s small business community is about to embark on the transition to this new tax regime. 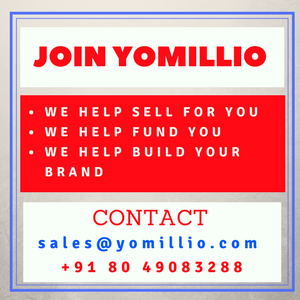 Yomillio is here to provide you access to whatever business support and services you need for GST registration, paperwork and compliance. As part of this effort, we want to share with you some highly useful GST tips from two tax experts at PricewaterhouseCoopers – Ganesh Raju K and Kunal Wadhwa. Before we share with you their expert advice on how Indian small businesses should approach the Goods and Services Tax, allow us to showcase their profiles. 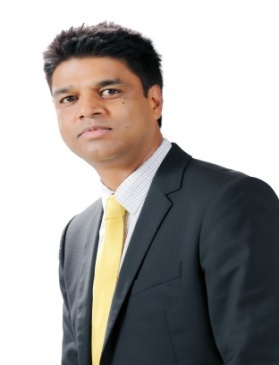 Ganesh Raju K is a Partner in PwC’s Tax & Regulatory Services team. He has over 15 years’ experience with PwC in the field of tax and regulatory structuring and consulting, in which he has been advising various domestic and multinational clients. 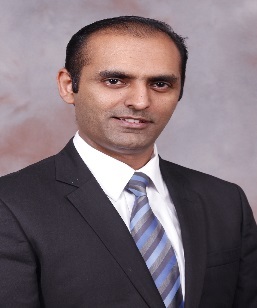 He has extensive experience in mergers and acquisitions, planning inbound and outbound investments, business consolidation, repatriation of profits, restructuring of internal groups, overseas acquisitions, outbound investments, mergers and demergers, slump sales, tax and regulatory due diligence, restructuring of investments, post merger integration, structuring of JVs, and advisory and tax-optimisation projects. Ganesh is a Certified Public Accountant (USA), lawyer and Company Secretary. Kunal Wadhwa is a Partner in the Indirect Tax group in PwC’s Tax and Regulatory Services practice. He has over 14 years’ experience in advising clients on various Indirect Tax-related laws, Service Tax, VAT and trade compliance, and providing them regulatory, advisory and representation services. He has extensive experience in advising clients on Indirect Tax-related implications and risks involved in establishment of manufacturing and distribution networks and services operations. He also advises companies on restructuring their manufacturing processes (including establishment of SEZ units), and start-up companies on Various Indirect Tax laws and how they can avail Indirect Tax-related benefits. Kunal holds a Graduate degree in Commerce and is a member of the Institute of Chartered Accountants of India. Q1: What are the benefits of GST for small businesses, startups and large corporates? Increased threshold for registration: Presently, service providers or traders have to obtain registration when the turnover exceeds Rs. 10 Lakhs (the same may vary from State to State). However, under GST regime, the same has been increased to INR 20 Lakhs. Online sale of goods: Presently, commercial tax authorities of certain States do not encourage online sale of goods to customers located in their State from outside their State and have introduced entry tax provisions. One of the major shift under GST is that the taxes would accrue to the State where the goods or services are being consumed. Accordingly, the E-commerce companies can freely sell goods to customers located all over India, since the GST would paid to the credit of the State where the goods are actually consumed. Savings in logistics costs: It is expected that the stoppages at State checkposts would significantly reduce under GST regime. This would reduce the time involved in movement of goods and bring in significant efficiencies in logistics cost. Further, companies do not have to set up warehouses in each state only to make local sales attracting VAT and avoiding CST which is a cost currently. These companies would attempt to rework their supply chain under GST to determine the location of warehouses depending on non-tax factors/ business factors. Elimination of cascading effect of taxes: Presently, there are various indirect taxes applicable on various aspects of transaction, such as customs duty on imports, excise duty on manufacture, service tax on provision of services, entry tax on entry of goods, etc. Further, service tax, excise duty is not available as credit to trader, VAT is not available as credit to service provider. GST paid on any business related procurements would be available as credit to any business regardless of whether procurement relates to goods or services. Q2: Can you elaborate on the tax advantages that a business will get through GST? Elimination of cascading effect of taxes: Presently, there are various taxes which are not creditable in the supply chain and consequently become a cost in the system e.g: Excise duty and service tax paid is not available as credit to traders. Under GST, all indirect taxes paid (except Basic Customs Duty) would be available as credit. Widening of credit availability: The definition of inputs and capital goods are restricted under the present regime and there are specific restrictions on availment of credit under State VAT Laws with regard to products such as furniture and fixtures, electrical and electronic goods. However, under the GST regime, the list of restrictions have reduced and credits can be availed on goods / services used in the course or furtherance of business.Further, the credit on capital goods is presently available in a staggered manner. However, under GST regime, the credit on capital goods can be availed immediately. Consolidation of warehouses: Various businesses have set-up warehouses across India primarily to mitigate Central Sales Tax, which is presently a cost. However, under GST, the tax charged on inter-state transactions is also available as credit. Accordingly, businesses can consolidate warehouses and set-up warehouses purely on business considerations such as availability of manpower, land, raw materials, speedy delivery of goods / services, etc. Standardisation in compliances: Presently, each State has their own VAT provisions, separate format of VAT / CST / Entry tax returns, different scenarios wherein waybills have to be generated along with State specific formats. However, under GST regime, it is expected that the compliances would be standardized all over India with regard to the provisions, format of returns, waybill formats, etc. Q3: What does a business have to do, in terms of compliance, software and other changes to their bookkeeping and tax preparation? What is the timeline for all this? The volume of compliances is set to increase under GST regime. One of the key change under GST regime is the matching concept for tax credits, wherein the input tax credit would be available only if the same has been disclosed in the outward return of the supplier and that is matched with the purchaser’s inward return. Further, the GST returns require reporting of details transaction-wise, which is a significant shift from present regime wherein details are largely required on a summary level. Accordingly, it is imperative that the IT systems are geared up to capture relevant details and provide reports on a timely basis to enable businesses to submit returns within due dates. While the details to be submitted for the initial 2 months, ie, July and August have to be submitted in Form GSTR-3B which would contain the details of outward and inward supplies in the summary form and the invoice wise details to be submitted for July and August 2017 have been extended upto September 2017, however the key timelines for submission of details under GST regime have been provided below. Q4: Will GST matter to consumers in India? Do you expect that the impact of GST will be big enough for businesses to pass it on all the way to the end user? The Government has analysed the present tax cost in deciding the rate of tax under GST and accordingly there are not many products whose rates have moved significantly. Based on past experience in various other countries, it is observed that there is short term inflation upon implementation of GST. However, in India, to check this, the GST Law mandates that any benefit arising out of increased input tax credits or due to reduction in rate of tax has to be passed on the customer by way of commensurate reduction in prices. Importantly many businesses currently have certain tax costs which would no longer continue to be applicable, which would provide savings of such costs. These are taxes like CST, entry tax, etc. At times, VAT, excise duty and service tax are also a cost for certain companies, which would no longer be the case, as GST credits can be availed on any purchase for business purposes. This could benefit consumers as the sellers need to factor their tax costs/ credits while determining the final price of the products. Further, while GST rates by itself may not bring reduction in prices, however other factors such as savings on logistics cost, availability of additional credits would lead to reduction in prices to end users over the long run. Q5: Will GST help Indian businesses be more competitive on a global level, including exports and other overseas trading ventures? Ease of doing business for Indian businesses would be clearly achieved through GST as the varied number of taxes applicable currently (almost 20 taxes) are proposed to be replaced with a single GST. The fact that there shall be uniformity of GST laws across the country in each State would mean that there is no disproportionate development in the country on account of tax laws. Further, availability of additional input tax credits would bring in significant efficiencies. However, one of the major impact for exporters vis-a-vis present regime is additional working capital impact. Various export oriented units presently set up as STPI, EHTP units enjoy up-front exemption of customs duty, excise duty. However, under GST regime, it is likely that the duties (except BCD) has to be paid in cash and thereafter claimed as refund. This could partially off-set the tax efficiencies expected under GST regime. Q6: Is there anything specific PWC is doing to assist its clients and others with GST enrollment and compliance? PwC is assisting its clients in analyzing the impact of GST on their businesses, assisting in making necessary changes in IT reporting, business processes mapping, supply chain structuring and providing GST training to the employees of the Company. Further, given that compliances under GST would entail electronic filing of multiple monthly state-wise returns, transaction-level data upload, numerous reconciliations (revenue reconciliation, reconciliation with vendor details uploaded on GSTN) and complex tax computation, we at PwC have come up with a customised version of our global compliance solution built with artificial intelligence which would help in significant automation of compliances.